Bantam chickens are small versions of regular sized chickens and are sexed like other chickens. They are best kept in a group with a single rooster and several hens. Chicks cannot be sexed reliably, but once they are old enough for their adult feathers to come in, the differences between the sexes becomes obvious. Since bantam chickens do not require as much space as full-size chickens, their popularity as pets is growing in areas where small yards are the norm. Check the size of the comb and wattles. 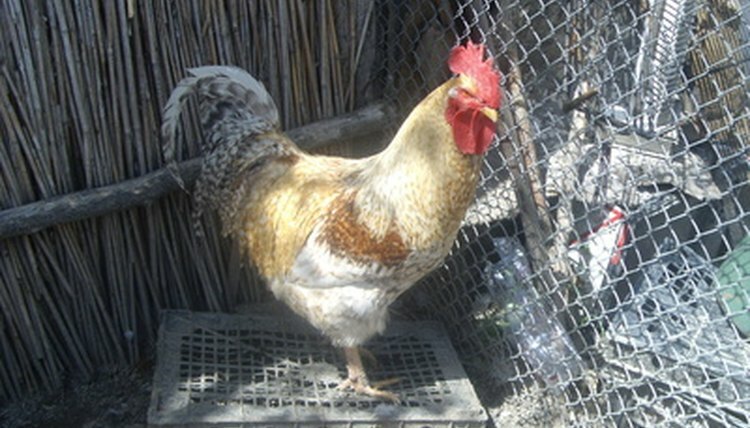 Roosters have larger combs and wattles than females. Compare the sizes. Male bantam chickens are larger than females. Measure the tail feathers. Roosters have long, flowing tail feathers. Hens have shorter tail feathers. Listen for the call. Roosters crow; hens don't.